SEO was never supposed to be a buzzword. Now it’s touted as the One True Way to level up page ranking and has reached such a saturation point that everyone claims to be an SEO “expert” when very often they are working with the same tools as DIYers. The market is highly competitive, with numerous agencies all out for an ever-shrinking piece of the pie. Large companies can afford an in-house marketing department, medium-sized companies can outsource, so where does that leave small businesses? Unfortunately, there are few transparent pricing models that let a small company on a tight budget know what to expect from an SEO company and how much they’ll pay for it. Moreover, most business owners have no idea what an SEO specialist does or what areas they work in to improve the search results for small business. When you have a small business, you want to know costs up front, how much every month, and what services make the package worth the cost. Technical analysis of the company website. Comparison of the company website to competitor’s websites. Optimizing off-page content by building links and citations. Identify gaps between competitors and the company in terms of website and online presence, and presentation of a plan to close those gaps. Study and reporting of the customer behavior including customer vocabulary analysis followed with reporting of activity and results. Keeping abreast of major search engine algorithm updates. As with all competitive industries, there are going to be scammers. In the case of SEO, these scammers are called “black hats” and they will are you in with promises of instant results. However, the company in question will never explain how they plan to achieve these results, much less put it in writing. Their sole focus is on cost while making big promises, not explaining trade-offs, and at times they may be absolutely unable to explain how search engine algorithms work. In the world’s modern age of search engines, information is only a few keystrokes away. For the casual researcher or the dedicated student, the ease of accessing information is to be expected. No one wants to hunt for data buried in cluttered web pages or defunct sites. That’s why it’s become a critical step for businesses to ensure their sites are up to snuff; after all, snagging potential customers’ attention is great, but it’s a useless action if those customers click off your website. Search engine optimization is a concept not entirely understood by all business owners, and with fair reason; no one who’s preoccupied with ensuring customers and employees alike are satisfied has the time to pay attention to search engine optimization, pure and simple. But hiring the right SEO firm to keep tabs on your website can be a challenge. With several different optimization packages out there, how do you know what options to pursue? Luckily for you, we’ve compiled a list of which options you should consider when shopping for affordable SEO packages to ensure you’re getting your money’s worth. The problem with cheap SEO services is that they’re, well, cheap. Those low-cost services may be great at getting your website in search results, but the trick to SEO is connecting with customers and keeping them around your website. Affordable SEO packages do indeed exist, but it’s vital to know precisely what those packages contain, and what the company behind those SEO packages is capable of. Plenty of so-called “experts” in the field of SEO offer services ranging from $25 to $2000, but what you’re getting for those prices fluctuates drastically. Short articles have their place, but articles with smaller word counts don’t have the space for in-depth discussion over a topic. A 2012 study discovered that the ideal length of articles and blog posts is around 2000 words. These longer pieces allow for a more detailed dive into a topic without becoming long, droning, boring pieces of work. A longer article also avoids feeling generic or rushed, as there is space to pick apart the topic without leaving the explanation in pieces. Business is widely conducted online these days, but customer reviews and word-of-mouth recommendations still speak volumes of a company’s capability. Comparing SEO packages is a vital step in the process of finding an SEO company to go to work for you, and to get a real sense of those companies, be sure to check out testimonials. Reviews left by real customers are invaluable pieces of feedback, and those reviews will give you a real sense of the value of the package. Building a website isn’t as simple as stringing some lines of code together. As modern business continuously evolves, search engine optimization becomes increasingly relevant and necessary. Without optimized search phrases and a well-organized website, online businesses fade into the background, becoming just another search result in a string of thousands. Fortunately, affordable website SEO services are widely available. Those services not only keep your website and business relevant, but their skilled employees also keep your site smooth and streamlined. There are plenty of ways to utilize SEO to bring more organic traffic to your website; let’s review just a few of those effective ways SEO strategists are using. Your website’s traffic will increase in no time, and your business will run all the more smoothly for it. Nothing acts as a deterrent quite like dead hyperlinks. If your website is full of these useless links, get rid of them, and fast. Dead links go nowhere, and with a lack of information, your potential customers and consultants will be off your website in a few clicks. Relevancy plays an enormous role in successful SEO. If your blog is full of old posts that are outdated, it’s time to upgrade those posts. Get rid of irrelevant tips or suggestions. Make sure links are fresh, up-to-date, and most importantly, still working. Use keywords to increase search engine traffic. It doesn’t take long to update posts, especially considering the structure of the post is already there. By freshening up those outdated blogs, your website will have a fresh new spin and a boost in relevancy, all with just a few hours’ work. Helpful tips and informative posts are valuable tools for catching the attention of customers and contributors, but where are you linking? Your own website can be your most powerful tool in this scenario; by linking to your own articles, you keep those readers on your site for longer amounts of time. Finding one helpful article is great, but finding two or three, all from a single website, and without having to dig through years’ worth of posts, is extraordinary. Affordable website SEO services aren't only used to increase traffic to your site; their valuable input creates a streamlined site that captures the attention of customers for longer amounts of time, and with only a few tweaks to some fundamental site features. Search engine optimization can boost brand exposure and improve your conversations. It’s a full-time job, though. If you’re just starting out with your business or already running one for years, and you want to learn what SEO can do for your organization, get help. Look for an SEO firm instead of making do with DIY efforts. Here’s how to find the right team to help you bring your business to the next level. Cost is always a factor. Every business knows the value of keeping their operating costs low. That’s why you’ll want to check out firms that offer affordable website SEO services. Check out packages and deals. Look for offers that can provide your organization with the help it needs. Do all this while keeping an eye on your budget. What do you need? What do you expect? What kind of results do you want to achieve? You’ll want to be clear on these things when you start looking for a search engine optimization firm. Finding cost-effective packages aren’t going to help, not if you end up choosing ones that don’t address the needs of your business. That’s why it’s important to find that out. 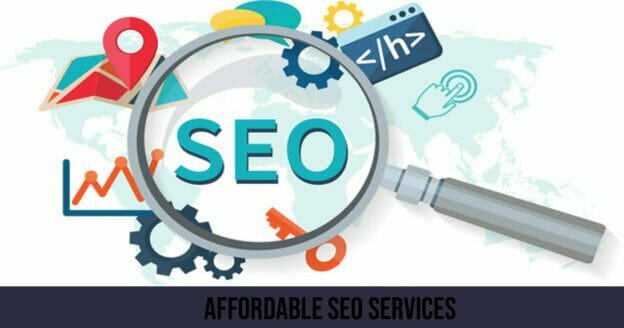 Once you know what you need, you’ll be in a much better position to look for companies that offer affordable website SEO services. What can the firm do for you? That’s a question you’ll want to ask when you start interviewing prospective firms, Forbes says. How can they help you turn your marketing efforts around? What kind of techniques will they use? What kind of results can you expect? You’ll want to work with a team that’s going to deliver real value to your business. Discussing how they can help your business will give you a clear idea of how they can make that happen. Being on a budget doesn’t mean choosing a firm that offers you the cheapest rate you can find. Look for reputable firms instead. They’ll cost you more, but you can count on the results, work ethic and often, the attitude and outlook of these teams to get the job done and done right. They’re much more inclined to adjust their internal processes and make changes to accommodate the needs of your project. If you want to get your SEO campaigns right, start by getting help. Find the right SEO team for your business. When growing a small company, owners may rely on services that are free, and in their direct control. For instance, social media such as Facebook, Twitter, and Instagram can bill presence and establish a loyal following. Websites, when done correctly, can serve as a virtual storefront that introduces a small company to a larger world. However, when it comes to digital marketing and SEO, companies are choosing to go without. Digital marketing is seen as an unjustifiable expense and search engine optimization as irrelevant. 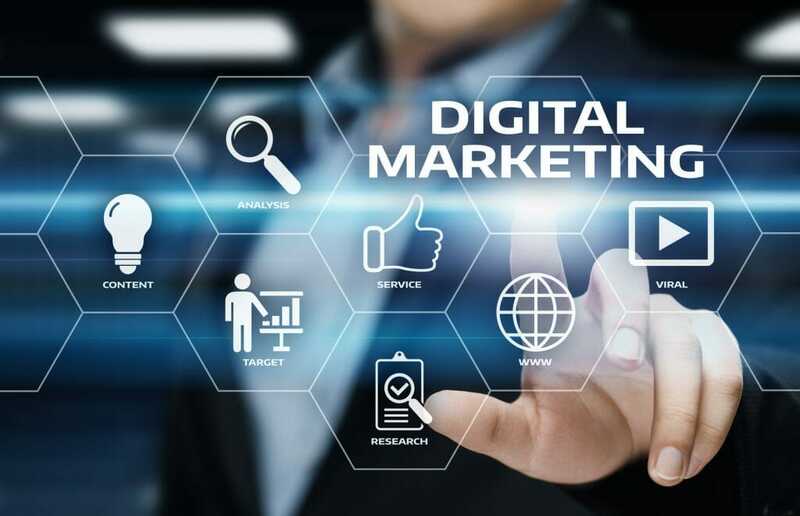 In fact, both digital marketing and search engine marketing are as much a necessity as electricity to keep the lights on. Increases in relevant traffic. Increased traffic is not necessarily relevant traffic. When using local SEO, including longtail keywords, the chances of having local click-throughs is increased. For instance, a pizza parlor in Akron, Ohio does not need clickers from Honolulu Hawaii. Using relevant SEO drives customers towards local solutions. Cost-effectiveness. SEO targets people who are already actively looking to buy. One click puts potential customers into your marketing funnel and beats paid ads in returns by 5.66 times. Outbound strategies such as PPC advertising are the equivalent of cold calling and while they may build brand recognition, they do not bring in as many warm leads as tailored SEO. Higher quality customer experience. SEO is not just about keywords, but the very structure of a website. Outdated HTML code and plug-ins can interfere with the site usability and even prevented from being listed in Google search engine results. A renovated and optimized page with up-to-date SEO will load faster, look better, and deliver a better customer experience across a wide range of devices. Quantifiable results. Robust analytics tools keep professionals and business owners abreast of how their SEO is performing and provide engagement metrics and demographic information. Affordable SEO packages, web design, and digital marketing all go hand-in-hand. However, the SEO on a website needs to be maintained and updated on a monthly basis. More extensive services are required when algorithms are updated to keep the website’s rank squarely on the front page. SEO grows organic search results and rank in a consistent and ethical white hat manner. 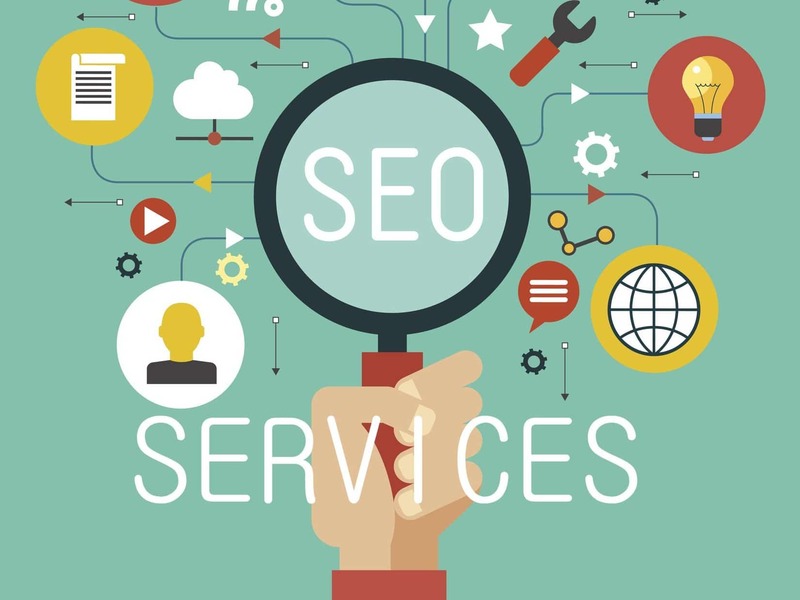 Work with a company that has an extensive track record and a listing of affordable SEO packages that clearly state what services are offered, and how they are carried out. Your site and your business will be better for it.